I love this book. I love the story and the illustrations. I want everyone to read this book!!!! A very beautiful winner of a book for sure. I love it. This beautiful book tells the true story of one very lucky dairy cow who joined our very special Ahimsa* herd at the Soma Gosala dairy. 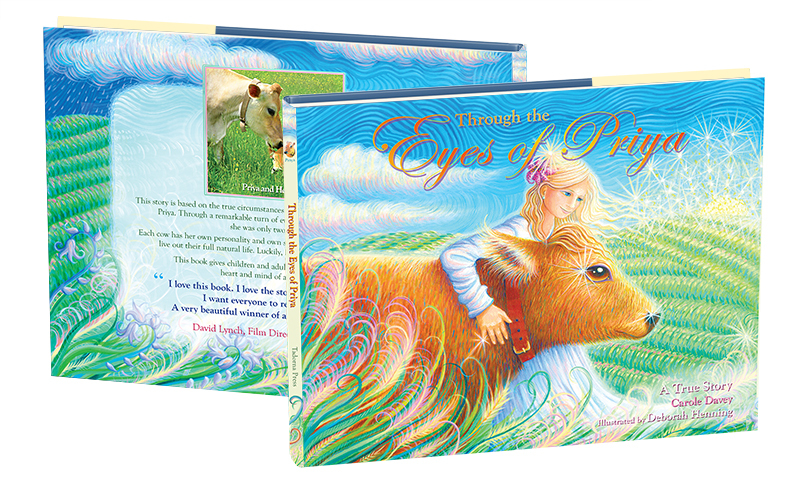 This book gives children and adults of all ages a look into the mind and heart of a mother cow. The book is lovingly written by Carole Davey and beautifully illustrated by Deborah Henning. Every one of its 48 pages is illustrated in full color. ​Soma Gosala dairy operates according to the principles of the The Cows Foundation, a non-profit organization dedicated to the humane care of cows everywhere.